IDF slams 'severe violation of Israeli sovereignty' in trilateral meeting, after discovery of tunnel crossing into Israel from Lebanon. Today, Wednesday an IDF team, led by the Head of the IDF International Cooperation Unit, Brig. Gen. Erez Maisel, participated in a pre-scheduled trilateral meeting, chaired by the UNIFIL Force Commander and Head of Mission Stefano Del Col, with a team from the Lebanese Armed Forces. 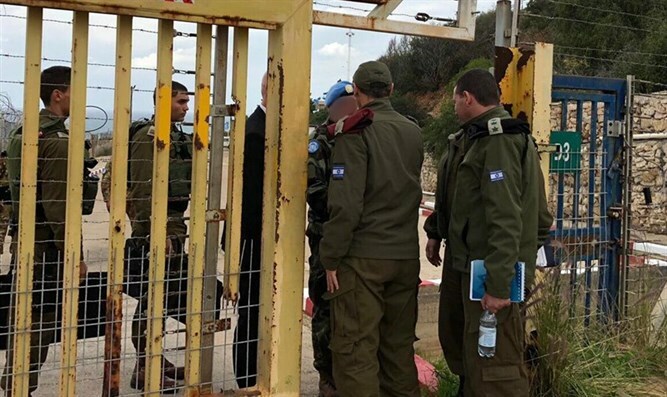 According to the IDF, the meeting focused on the IDF’s recent exposure of the Hezbollah cross-border attack tunnel dug from Lebanon into Israel. The IDF expressed its protests regarding the severe violation of Israeli sovereignty and and UN Security Council Resolution 1701. On Tuesday, the IDF announced the discovery of a terrorist tunnel leading into Israeli territory from southern Lebanon. According to an army spokesperson, the tunnel was discovered Tuesday morning by IDF forces operating along the Israeli-Lebanese border. The news came after the announcement that the IDF had launched "Operation Northern Shield" along the northern border to locate and neutralize cross-border ‘terror tunnels’ from southern Lebanon built by the Hezbollah terror organization.